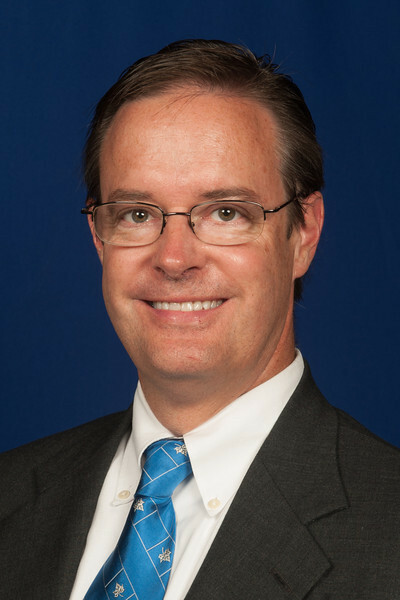 Wabash Valley business leaders can meet the dean of Indiana State University's Scott College of Business and network with other area business leaders during an event on Feb. 27. The Scott College's Community Business Reception and "Meet the Dean" event is scheduled from 5 to 7 p.m. at Federal Hall in downtown Terre Haute. The event, which is sponsored by Frontier Communications, will provide an opportunity for people to meet Dean Brien Smith and learn more about collaborating with the college's students and faculty. "We really want to partner with the business community to teach and develop leaders for the future," Smith said. "Communities cannot take a passive role in education, and I want people to start thinking more formally about how we can partner with them to make things happen." 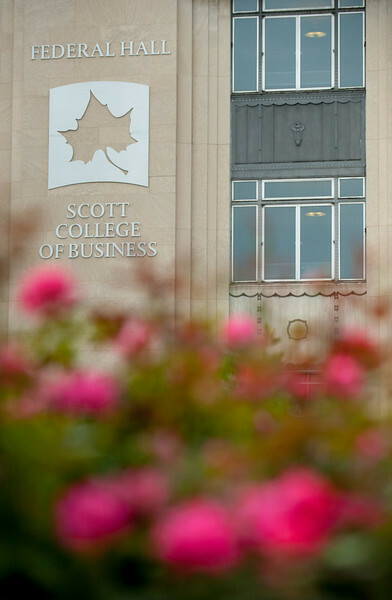 The Scott College has numerous resources that can be beneficial to local businesses and organizations. Faculty members frequently work with business leaders to provide experiential learning opportunities while businesses also benefit from partnering with students on real-world projects. The Sycamore Student Ventures senior capstone classes include Sycamore Business Advisors, for example, which provide consulting services to nonprofits and businesses. Federal Hall also houses the West Central Indiana Small Business Development Center, which provides a variety of services and support to small business start-ups and to promote job growth. The Scott College provides one-third of the west central office's annual budget. "We provide a lot of great ways for local businesses to engage with Indiana State and the community, while business owners also find that we provide a service to them," Smith said. "Many people are surprised to learn about the different programs and opportunities we provide, both for our students and for the community at large." Some Terre Haute residents had an opportunity to meet Smith when Federal Hall was formally dedicated in September. The upcoming event will provide additional opportunities to network with local industry leaders as well as Scott College of Business students. In addition, the event will provide an up-close look at Federal Hall, the former downtown federal building, at 7th and Cherry streets. "This building is very symbolic for many residents of Terre Haute," Smith said. "They made memories here. They came here to get their mail and to conduct business. We offer a lot of hope for the future by still being here." For more information, please contact Maria Greninger or Gina Atterson in the Scott College of Business dean's office at 812-237-2000. The Community Business Reception and "Meet the Dean" event will be Feb. 27 from 5 to 7 p.m. at Federal Hall. The event will be an opportunity for people to meet Dean Brien Smith and learn more about collaborating with the college's students and faculty.